iPhone SE Pricing in South Africa. 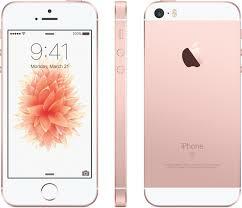 The iPhone SE has the rear camera of the iPhone 6s, the front camera of the iPhone 5s, and boasts the A9 processor of the latest flagship iPhone. Live Photos, 4K video recording, and slow-motion video are all supported by the SE. The iPhone SE also has Apple’s Touch ID fingerprint sensor and support for NFC and Apple Pay. It does not support 3D Touch, though, a feature which is still exclusive to the iPhone 6s and 6s Plus. iStore listed pricing for the iPhone SE as follows. Trade-in deals on older iPhones are also available. A summary of the trade-in values and resulting cash pricing is detailed below. Trade-in values are dependent on the condition the device is in.